With Prestashop, to manage your margins you have to set for each product a wholesale price and calculate the selling price. If you want to set a different margin for a group you need, for each product, to create a specific price. This is tedious and time consuming. When you want to change a margin, you need to re-enter in each product sheet to do the same manipulation. 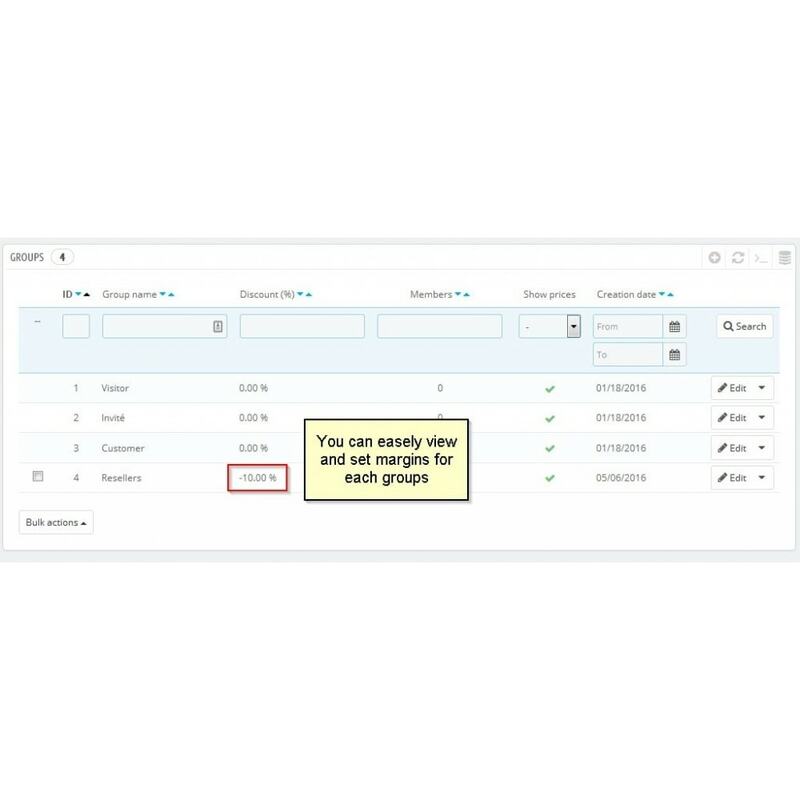 This module allows you to quickly and easily manage your product margins by group and for each group by categories. You can define, for example, 15% margin for the group 'Reseller' except for iPods category will be 10%. To change the margins is also simple. This module improves the Prestashop's function of discount by group. It allows to define negative reductions , which in fact amounts to defining margins : a -15% discount causes an increase in the selling price of 15% therefore a margin of 15%. 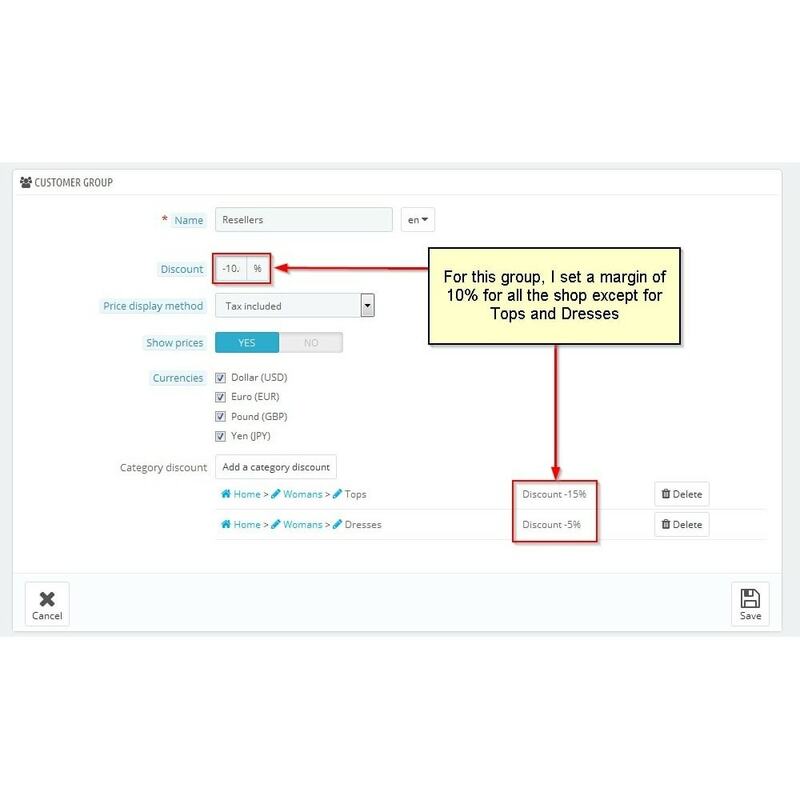 So you can define margins of your products globally and for each group by categories. In front office, customers only see the final selling price. This approach is consistent with the discounts or cart rules. Their functioning and consequences are not affected. Only products with this category as the default category will have their prices affected by the margin. Products having this category as a secondary category will not be affected . 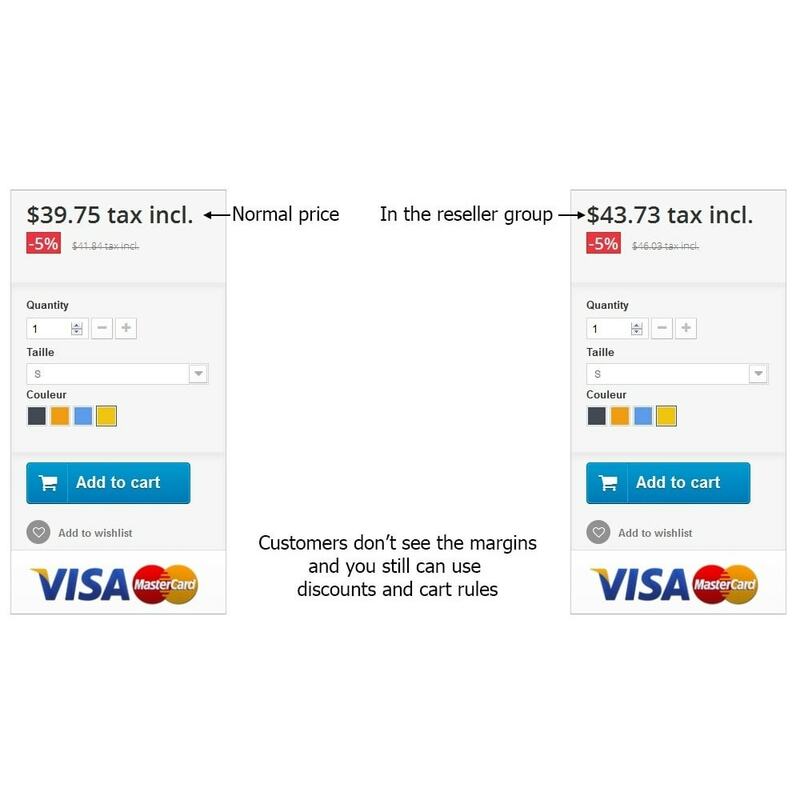 Margin category replace any other discount or margin to which members of this group may be eligible for this category. Create beautiful, professional quality shipping labels for your orders that you can print in your Laser or thermal printer.